If Jodi Hermanek’s team is playing a three-game series and the first game goes well, she will eat the same breakfast for the next two games. 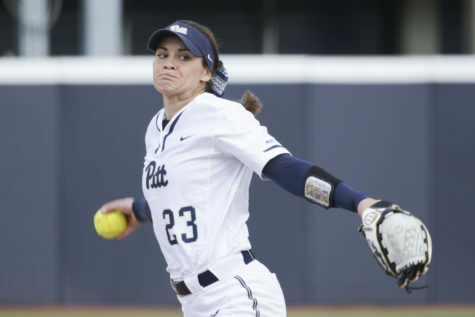 That’s just one of her many superstitions — the rest she is still trying to adjust to her new team and coaching staff. 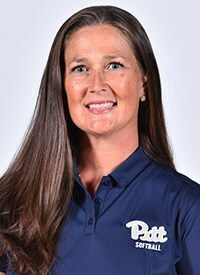 Hermanek was named the head coach of Pitt Softball on Aug. 7, replacing previous head coach Holly Aprile after Aprile left to accept the same position at Louisville. 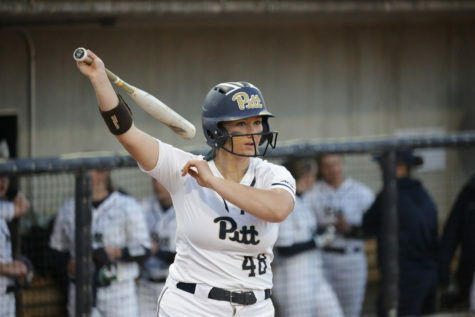 Upon accepting the job, Hermanek became the third head coach in Pitt Softball history. It’s been a little over a month since Hermanek was named the head coach and came to Pittsburgh for the first time. 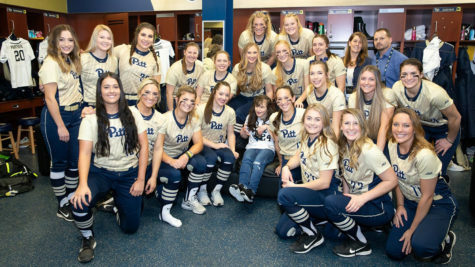 So far she’s been to every Pitt football game and loves to listen to the crowd cheer in Heinz Field. Hermanek also loves the victory lights on top of the Cathedral, so much that she made sure to show them to a recent recruit — and Hermanek’s 4-year-old daughter thinks it means Batman is coming to the city. Prior to coming to Pitt, Hermanek was the head coach at Ohio University for 10 years. Over that time, she led the Bobcats to two NCAA postseason appearances and two Mid-American Conference Tournament Championships, a regular season championship and three MAC East Division Championships. Hermanek has 397 career wins and 14 years of NCAA DI coaching experience. 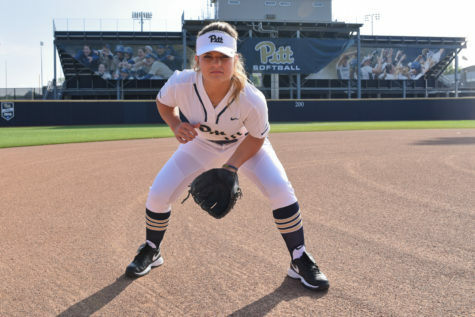 The Pitt News sat down with Hermanek after her first series as head coach, a 2-0 sweep against Slippery Rock, to see what her plans are for the softball program and to learn more about who she is. 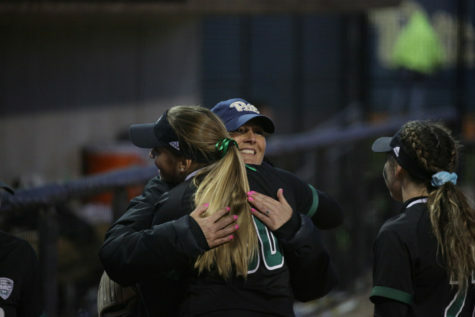 TPN: How does it feel to have your first official game under your belt as Pitt Softball’s head coach? Hermanek: It feels really good. It feels good to have challenged the girls in the last two weeks with some hard practices, and for them to come out and play under control and with aggression … It feels really good to watch them come out here and have a good time together. TPN: What kind of culture are you hoping to bring to the team and what is your coaching philosophy? 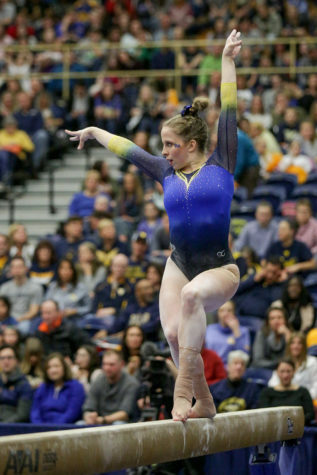 Hermanek: As a coaching philosophy, I want to be a teacher of my sport. I want to be a teacher of the game. I want to be a person who finds the strengths of these athletes and really excels them and highlights them and elaborates on them. I want to set the culture by the work ethic, the dedication and discipline. We have a motto of ‘DIRT’ — discipline, integrity, respect and teamwork. To just really instill that motto that it is about everyone as a united front, it is not just about one individual person, and we are going to take care of our family by living within a strong culture that everyone is focused on all the right things for all the right reasons. TPN: What was your first impression of [Pittsburgh]? Hermanek: To get from Ohio to here I drive through the tunnel, and it’s all green hills on the one side and all of a sudden you get to the end of the tunnel and it’s just the city — I was like, “Waahooo!” you know? It was just like opening the gates of this new view of a life and excitement and city atmosphere and beauty with the rivers and bridges and stuff. You know, I just right away got overwhelmed — in a good way — with the change from Athens, Ohio, to Pittsburgh. And it wasn’t overwhelming to where it was like paralyzing me, it was overwhelming to the fact that there is so much to do, and so much to invite myself and my family into that we can’t wait to be a part of it. It’s a beautiful campus once you really get the outline of it, there’s so much history here with the Cathedral and the green spaces, where it gives you the college atmosphere and the city space, where it gives you the blend of being in a professional environment constantly. And then you get to the sports complexes that are amazing athletic venues. Just the different variety and the value of each one of them, they really stand out. TPN: How do you feel your relationship with the team is so far? Hermanek: I think they’ve done an amazing job, beyond amazing, of welcoming the new staff in. We are very different than what they’ve been accustomed to in a variety of training ways, but they have not flinched at anything we’ve put in front of them. They are inviting us into some of their traditions as well, so it’s been a really great group to get started with. 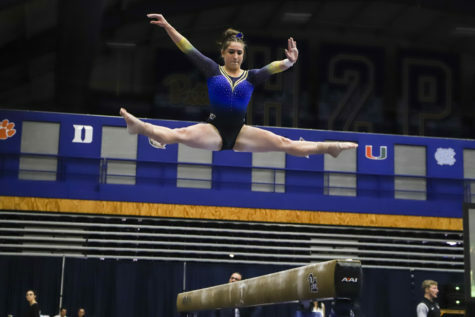 They’re hungry, they have a strong desire to be better than they were last year and have better finishes, they’re also welcoming us in with the different transitions that we put out there, and the different strategies and the different training methods, and they are taking it on like champs. TPN: Do you have a favorite Pitt tradition you have been introduced to? 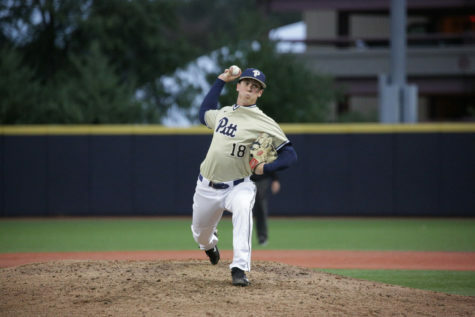 Hermanek: I love ‘Hail to Pitt.’ I like how no matter who you meet, if they’ve been affiliated or a graduate of this university how that’s just one of the things, it’s kind of like a marriage kind of thing, you find out your family members by the H2P. I love that. I loved the lantern-lighting ceremony we got to celebrate with our incoming freshman, and be a part of that whole ceremony and watch them all go through that. I thought that was really special, it being a 98-year-old tradition. TPN: Do you have any superstitions? Hermanek: Lots. Too many. I have to have a pen in my hat, that’s how I circulate all of my notations, so I always have to have a pen. It can’t be the ones that punch at the end, it has to be a cap pen so it slides in easier and doesn’t get stuck in my hair. I’m kind of trying to adjust [my superstitions] right now, so they can adjust with my staff. But just small things. Sometimes the things I eat. I’ll have the same breakfast repeatedly if we are in a three-game series and game one was a great breakfast and a great win, then the next two days it’s going to be that as well. TPN: Is there anything you would like to tell the fans? Hermanek: I’m a very welcoming coach. I love the fans we got out here today, for a fall game this crowd was awesome. And it takes them to be behind us no matter in the good times or the bad times, it takes them to be behind us all the way through the season and offseason … These girls work their butts off every single day for us, and having people show up and supply us that support and that energy, it takes us even bigger in our strides, and it gives us even more reason to be our best out here. We want to celebrate with them and for them, and let them know I’m a coach who wants to put on a good performance all the time, so they have something positive to get behind. The Panthers’ next game is a Sunday doubleheader at Columbus against Ohio State and Wright State.